I debated whether or not to write this blog, because it could so easily take on a condescending flavor. I want to stress that I am not being judgmental when I share these points, and that I am the first one to admit that I am NOT PERFECT. However, I have been in this industry since 2008, and can safely say that if one makes the effort to take the following information into consideration, the professional pathway will be smoother. -Don't trash talk anyone! How you use your words shows others who you really are. Mentioning others’strengths and fine qualities is much more beneficial for everyone within earshot than sharing an embarrassing story or spreading gossip about someone’s shortcomings. This especially includes never posting about another narrator's poor reviews, whether they're merited or not. How would you like it if someone publicly called out your performance in a less-than-flattering light? -Don't take credit for others’ work. Remember to mention/thank engineers, proofers, publishers, narrators, in public statements such as acceptance speeches or tweets or social media posts. Along this same vein, remember it’s not all about you. Engage others in a discussion about what they’re doing, what they’re interested in, or how they’ve handled something. You can even try to conduct an entire conversation without using the pronouns “I” or “me”. -Don’t abuse others’ good nature by expecting them to spoon-feed you your career. Do your homework. Google is very easy to use, and in social media it’s expected that you use the “SEARCH” function in groups before posting your questions there. There is a wealth of information to be found. Do your own due diligence. THEN you can come back to your favorite social media group and post your specific question. **NOTE** PLEASE READ AND CONSIDER THE FOLLOWING ADVICE CAREFULLY: When you have a question, consider who may be answering it. If posted on social media, you have the strong probability that everyone from non-narrators, to brand-new narrators, to hobbyists will enthusiastically and authoritatively give you their opinion. If you place value on your career and care about the audiobook industry, seek out those with lots of experience and a successful track record, and ask them your question (after you’ve researched it, of course). You will receive sound advice backed by a history of experience and knowledge. Got a problem with your recording chain, or the technical aspects of recording? Hire a professional engineer! -Don't out someone's pseudonym. How someone chooses to record is their business, and is often a very personal decision. By sharing their identity, you may harm their potential to get hired to narrate some material. A pseudonym can be a means of protecting family and friends from embarrassment or hurtful situations. -Always remember that as narrators, we have a collective reputation. Numerous times authors have shared with me their horror stories of narrators who act in a less than professional manner. This is especially pertinent in the indie writing sphere. 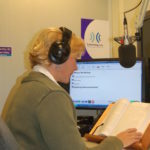 Many narrators take a personal interest in encouraging authors to include audiobooks in their plans when they release their books. If an author has a bad experience with the process, it’s more probable that they will not attempt an audiobook in the future. -Communication is paramount. Don’t assume your indie author knows how the process works, and be prepared to explain things that seem obvious and simple to you. Not everyone shares your level of experience. Helping someone learn a new skill or process promotes goodwill and excitement for a repeat experience! -Don't lower your rates too badly. Obviously no one has the right to dictate what you charge your clients, but please remember that you are a professional, and as such, your peers would appreciate it if you charged accordingly. -Perform each narration project as if you expect it to win an Audie. Don't do shabby work because "it's just a royalty share project" It all counts! -Respond to correspondence timely, invoice promptly, and pay your bills just as promptly. -Don't miss deadlines: Seriously assess whether or not you can meet a deadline before accepting the book, and be attentive to your calendar so that you don’t forget about deadlines, or end up so short of time that the quality of your work is compromised in your rush to meet deadlines. -Make sure your narration demo is representative of your capabilities/skillset. You don’t want to “bait and switch” by having a stellar demo and then not be able to deliver an equivalent level of quality from your home studio. -Audition ONLY for those projects which you are certain you can perform. I will expand on this to include that you MUST turn down a book you’ve been offered, if it is not a good fit. For example, pass it up if it is written from a man’s perspective and you are a woman (or vice versa) or if it’s heavily accented in a language you cannot affect. -Research words in the manuscript or hire someone to do it for you. Remember that thing about using Google? Do that.